This blog is Part Four of United Financial’s “Saving Series.” Check out the first blog in the series Intro To Savings Series and check back each month through April 2019 for the newest post. Oatmeal, chocolate chip, or shortbread. We all have a favorite cookie. And at one time or another, we feel helpless to avoid their temptation. We can’t pass by the cookie jar without indulging. If you’re a cookie monster, you know you can’t keep a cookie jar out on the counter. You need to hide the cookies if you want any left for tomorrow! Does your cookie-eating behavior reveal your retirement saving behavior? Not necessarily, but it does help illustrate a major problem many Americans have with trying to save for retirement. Money in an IRA—traditional or Roth—is supposed to be used in your retirement. Can you easily leave those funds alone? Or are you tempted to pull the money out for something you need or want now? In our fourth installment of our savings series, we’re taking a closer look at Individual Retirement Accounts so you can make the most of your investments. What kind of cookie is this? Let’s begin with a quick overview of the types of IRAs: traditional, Roth, and rollover. A traditional IRA gives you tax benefits now; you pay the taxes on that income later. A Roth IRA pays taxes up front so you get to withdraw the funds later without paying taxes. A rollover converts your 401(k) or other retirement fund into an IRA account. So your question now is which type of IRA benefits you more? That answer can get complicated because each IRA has different qualifications and limitations. Anyone of any income can take out a traditional IRA, but over a certain income, you might not qualify to invest in a Roth IRA. There are differences, too, in how you withdraw your money, especially to avoid penalties. Sound confusing? Let’s run through the options. Any wage earner can contribute to an IRA, whether you’re young and work part time or middle-aged and at the height of your career. Income won’t ever limit your ability to contribute to an IRA, but your age and income can limit how much you can reduce your taxes when you file. If you’re over 50, you can contribute $1000 more than the standard $5500. One of the benefits most people enjoy from putting savings into a traditional IRA is the reduction in the current year’s tax liability. Your IRA grows tax-free until you withdraw the funds, at which time, you will have to pay the IRS. Because most people’s income goes down in retirement, you will likely be in a lower tax bracket, so this savings strategy puts you ahead. Traditional IRAs have obvious benefits—now and later. But if you withdraw funds before age 59½, you’ll get a slap on the wrist for trying to steal a cookie from your cookie jar. If you’re young and an impulse buyer, the penalties for withdrawing early can help give you incentive to stay on track with your retirement savings. Because you don’t pay taxes on the money when you set up a traditional IRA, there comes a time when you must take a required minimum distribution (RMD). That time is when you turn age 70½. If you’re retired and in a lower tax bracket, taking a distribution might not pose a problem. After all, you’re drawing on the money you tucked away for retirement. But if you’re still working at age 70½ and still in a higher tax bracket, you’ll have to take the distribution and pay taxes on that income at your higher rate whether you want to or not. 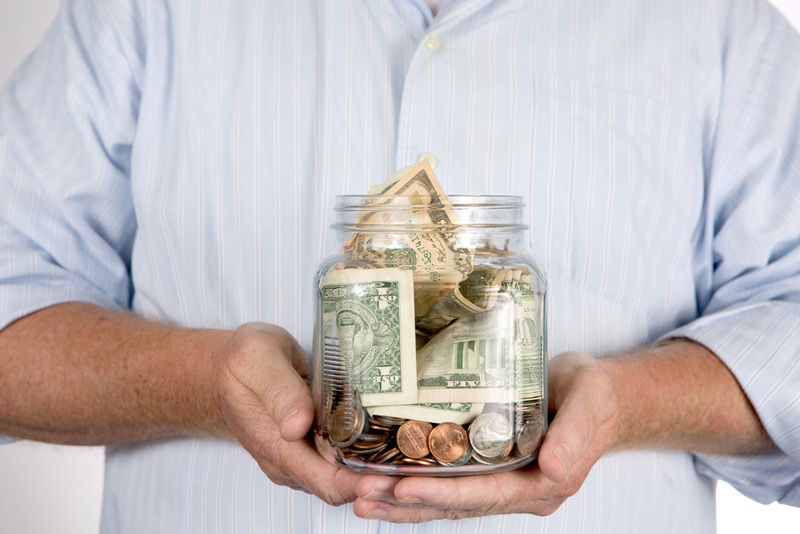 And after age 70½, you can no longer make contributions to a traditional IRA. Your tax-saving, tax-deferred days are over. All in all, a traditional IRA has a lot to love. For many workers, the restrictions are simply incentives to save. And there’s no need to worry about penalties or taking distributions because the rules fit your situation. Roth IRAs also have a lot to love, but not everyone qualifies for them. Roths are based on income, so those who have lower incomes can fully fund a Roth, while those with higher incomes might only be able to partially fund a Roth or not qualify at all. Check your tax bracket to find out your eligibility. If you suspect that you’ll be in a higher tax bracket when you retire, you should consider setting up a Roth IRA rather than a traditional IRA. You’ll pay the tax on that income now, but you’ll be able to withdraw it, earnings included, tax-free later. That can add up to a sweet deal. Even if you expect to be in a higher tax bracket, you still have good reasons to invest in Roths. You are allowed under certain circumstances to withdraw funds from a Roth before age 59½ unlike a traditional IRA. If you withdraw funds before 5 years have passed, you could face penalties. Be sure to check the rules before you withdraw funds, and always explore other options for funding your needs and wants. Your goal should be to keep your Roth for retirement. Another reason to invest in Roth IRAs is that you can continue to contribute to a Roth even into retirement after age 70½. You can allow your funds to grow rather than take a mandatory distribution as required by traditional IRAs. You can also pass along Roth IRAs to your heirs. Finally, do keep in mind that if you qualify for a Roth but you also want to contribute to a traditional IRA as well, your total contribution for both can’t exceed the $5500 limit. The younger you are the more likely that you’ll change jobs and employers during the length of your career than prior generations. While many companies offer you opportunities to contribute to a retirement fund, such as a 401(k), what do you do when you switch jobs? You’ll want to roll over those funds into an IRA. Generally this can be done directly from the 401(k) provider to your new IRA provider. Simply fill out the paperwork. You need to be careful if you withdraw the funds yourself. If the funds aren’t re-invested within 60 days, you can face tax and penalties because your withdrawal will be treated as an early distribution. You can also do an IRA to IRA rollover. Not all IRAs are equal. If you find a provider with better terms, you can transfer an old IRA into a new account with a new provider. You should check with your provider whether there are any restrictions on the frequency of rollovers you are allowed. Some plans restrict rollovers to only one per calendar year. It’s hard to go wrong with any of these IRA options; just make sure you learn the rules. But if you’re obsessed with maximizing every penny, use an online calculator to help you estimate your earnings using different combinations. Even when you understand the basic requirements for each type of IRA, there are exceptions to every rule. If that sounds too complicated, come talk with us. At United Financial we’re happy to answer your questions and walk you through the decision-making process. Remember, the biggest mistake you could make is not investing in an IRA at all!